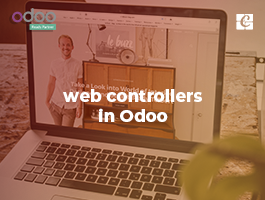 In Odoo there are different entities in packages which we always become confused. Let’s discuss it today. As of in the industry, a package means something that we put together as a pack. 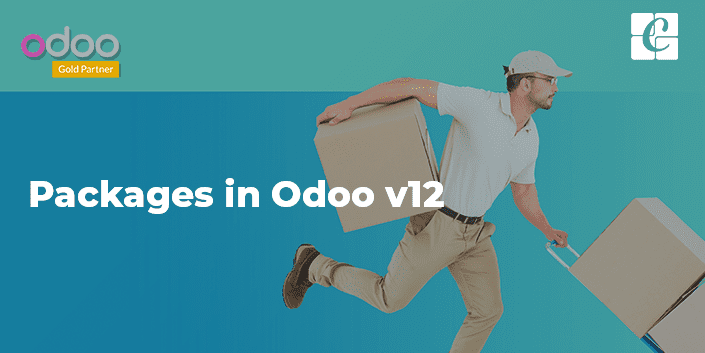 In the concept of the package itself, there are three types of packaging in Odoo. First is that we can set a particular product like a pack. For example, let the product be the egg. In normal condition, we are selling the product as a tray which contains 30 eggs. So the tray is termed as a package in Odoo. Let’s take another example of chocolate. We are selling chocolates individually according to count and also as a packet of chocolate, in which a packet contains 100 chocolate. So in Odoo, one can create a package of chocolate that contains 100 chocolates. We can also create as many as packages for a single product, for example, there are different chocolate packets that have a different count of chocolates like count of 10, 20 or 50 etc. Second is the packages having different products. 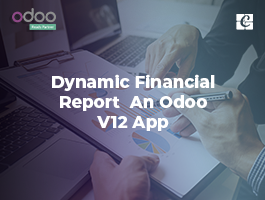 This is what we say Put in Pack in Odoo. Let’s take an example. We got a sale order of almost 5 products to a particular customer. The products may or may not have different quantities. So at the time of delivery, we can put this all together into a single pack, so that we only need to send a single box or package to the customer. 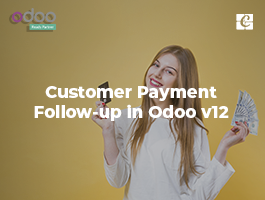 In Odoo, we can also put different products of different sales order in a single or different package accordingly at the time of delivery from the inventory. Let’s look through an example. If a customer ordered a computer. It consists of different products like CPU, mouse, keyboard, monitor, cables etc. So in this case, it will be helpful if we put all these products in a single pack. The third is the Delivery Package. 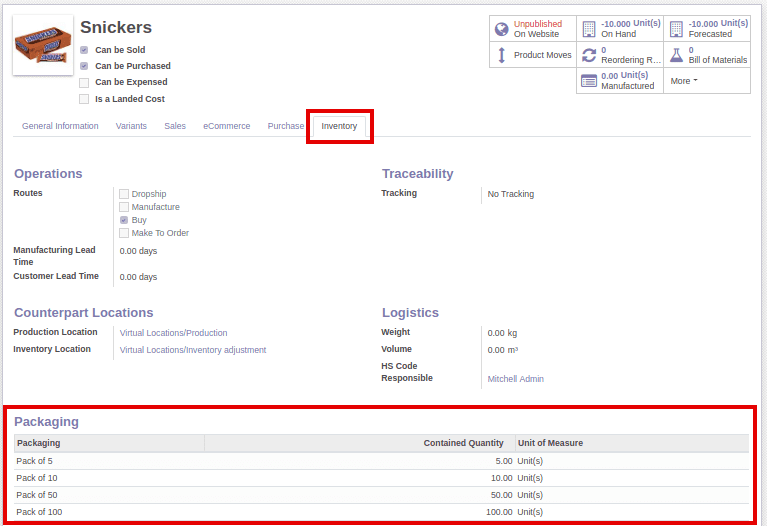 The deliver package of Odoo will be available in the configuration menu item under the inventory. The purpose of the delivery package is to make a pack of container. Let's look into a real-time example. The delivery package can be made applicable if the company is transferring some goods to a certain location or to the customer itself. If all the products or product packages of different customers need to be sent to a particular location, then all the items can be put into a single container for the easier transportation, then this container can be termed as a delivery package. To enable the package, one should tick some options in settings. Let’s look on that. I. One needs to give access permission to the user for the packages. By this, the end user is giving permission to this particular user to manage the packaging activities. II. Next is the settings under Sales & Inventory module. III. After enabling the settings, one needs to set up the product. In order to put the products in the packages, one needs to ensure the type of the product. It must be stackable. IV. 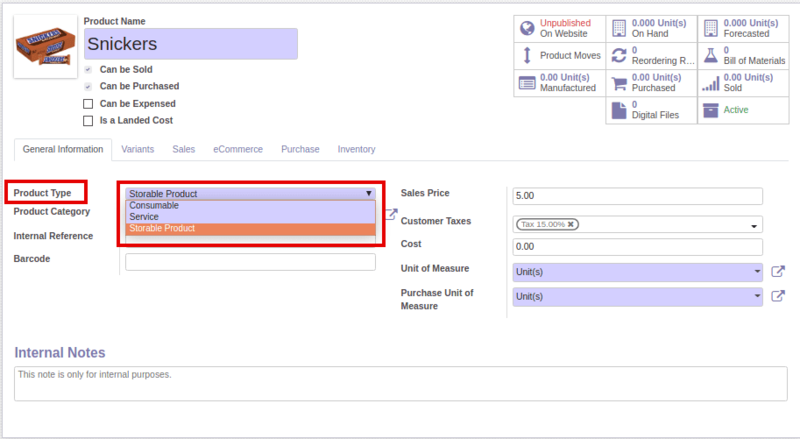 Now in the Inventory tab of the product, the end user can create different packages for this product. 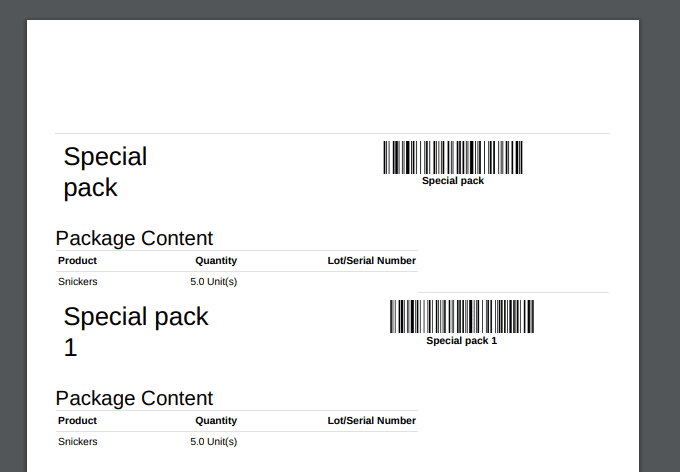 As in the image you can see that there are different packages for a single product, it defines that the product can be sold in different packets. V. After setting up the product information, one can create the sale order. Later choose the product. There you see a new field that appears named as packages only if the settings is enabled. Here you will be able to see the different package that we created for that particular product. VI. If we choose a package, there will be appearing a warning message to set the quantity of products. Now, one can see the second type of package which I mentioned before. 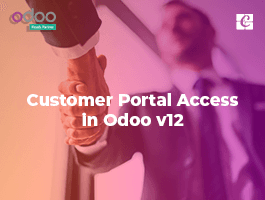 It's the Put in Pack of Odoo. Before look into that, we need to add as different products and confirming the sale order. After confirming the sale order, one can see the delivery button. Click on the smart button to view the delivery order. As shown below. Here we will be able to edit the done quantities of the different products in the sale order. Also the Put in Pack button. On clicking the button, all the products in the lines will get into a single package and a new smart button will appear on the top right side of the page. If we click on the package button, we will be able to see all the packages related to this particular delivery order. As I said, one can put the products in a single package in a single click, at the same time, we can put different products in different packages with different quantities. For that click on the action button at the end of each line. This will bring a new window that will give the provision to add lots, location, packages etc. Here you can select the destination package, ie the package that this product needs to be put into. After setting up all the desired information, click on the confirm button. Now we need to validate the delivery order. The products will appear in the package only after validating the delivery order. After validating, click on the package smart button. The below page will appear which will show all the packages which are related to this particular delivery order. Below show a single package and the products in that package. One can also get the pdf report of the package list from the print menu. Below shows the package list. Next is the Delivery Package. To enable the functionalities of the delivery package, we need to enable an option in the inventory settings. There, go the packages and we will be able to see the package type field. Here, one will be able to select the available delivery packages. Below shows the form view of the delivery package. Here, one can update the different details of the containers. 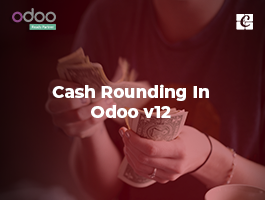 So this is all about the Packages in Odoo. If you have any queries leave as a comment below or email to info@cybrosys.com.